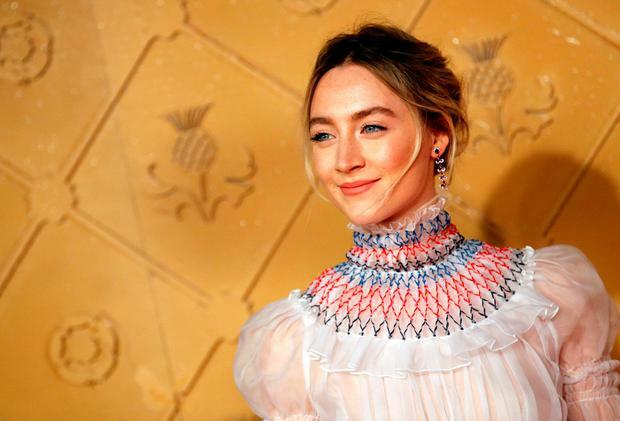 Gary Oldman and Saoirse Ronan will be among the presenters at the 2019 Golden Globes. Black Panther star Chadwick Boseman, The Shape Of Water actress Octavia Spencer, Empire’s Taraji P Henson and I, Tonya’s Allison Janney will also hand out awards, The Hollywood Foreign Press Association said. They join earlier announced presenters Sam Rockwell and Jessica Chastain, who were unveiled on Wednesday morning ahead of Sunday’s ceremony in Los Angeles. Christian Bale’s political biopic Vice leads the way in nominations on six, ahead of musical drama A Star Is Born and historical comedy-drama The Favourite, which both have five. British actor Oldman, 60, won a best actor Globe last year for his portrayal of Winston Churchill in Darkest Hour while Irish star Ronan, 24, won a best actress prize for Lady Bird. Chastain is a five-time Globes nominee who won for 2013 Zero Dark Thirty while Rockwell took home a prize last year for his supporting role in Three Billboards Outside Ebbing, Missouri. He is nominated again this year for playing George W Bush in political biopic Vice alongside Christian Bale. British talent up for awards includes Claire Foy, who is nominated in a supporting category for First Man, and Emily Blunt, who has been recognised for Mary Poppins Returns. The BBC’s drama Bodyguard, Hugh Grant’s political series A Very English Scandal and spy thriller Killing Eve are all nominated in the television categories. The Big Lebowski star Jeff Bridges is set to receive the lifetime achievement Cecil B deMille Award. The 76th Golden Globes will take place in Los Angeles on Sunday and will be presented by Killing Eve’s Sandra Oh and Brooklyn Nine-Nine Andy Samberg.